Formerly the New Mills Hotel, built in 1907 in Midtown Manhattan on 36th Street and 7th Avenue, the 612-room Moxy Times Square Hotel boasts a wide variety of room types and more than 22,000 square feet of flexible meeting spaces. Dining and nightlife destinations include Legasea, a seafood brasserie; Bar Moxy, a buzzing lobby bar, and lounge; The Pickup, a twist on the traditional grab & go; and Egghead, an all-day, egg-centric sandwich shop provides bountiful opportunities for guests to eat, drink, chill out, connect and play. Topping it all off, Moxy Times Square features Magic Hour, New York City’s largest all-season indoor/outdoor hotel rooftop bar and lounge, offering cheeky amusements like a naughty miniature putt-putt; monumental skyline and Empire State Building views. Pod Brooklyn opened its doors in the Williamsburg neighborhood of Brooklyn, introducing the next generation of properties from BD Hotels. The hotel has the micro-hotel concept, which utilizes modular guestrooms built entirely in Poland and shipped to New York City. The property stands on the corner of Metropolitan and Driggs Avenue. The property offers 249 modular rooms, each about 100 square feet, and include queen and bunk bed configurations with features like built-in storage and high-tech amenities, which allow guests to stream their own media content from iPhones or other devices. Guestrooms include oversized windows looking onto green gardens and public spaces, creating a social campus feel, but also include blackout and noise-blocking shades for when travelers wish to unplug. InterContinental Hotels Group (IHG) officially opened the Crowne Plaza HY36 Midtown Manhattan in January 2018. 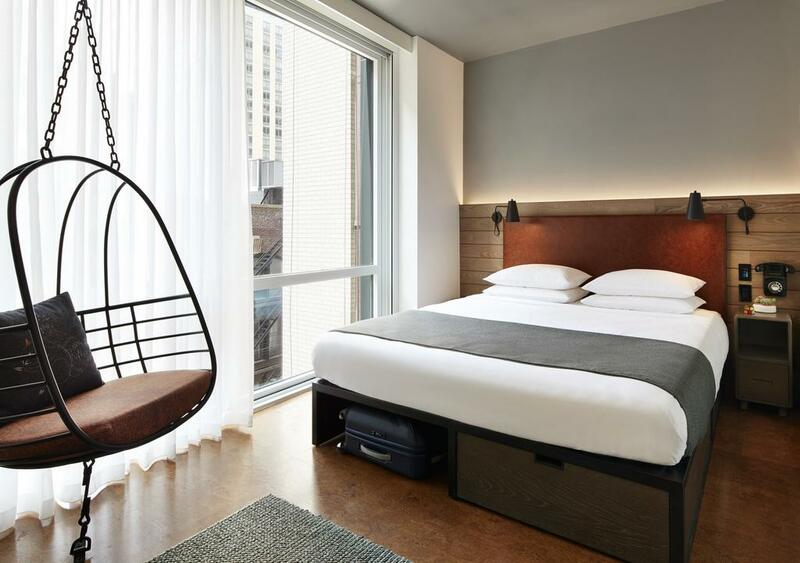 As the newest Crowne Plaza property, the design-centric newcomer is located at 320 West 36th St. and proximate to the Javits Center and Hudson Yards neighborhood. The property has adopted the brand’s newly introduced Guest Love Essentials, including premium pillows, newly designed collateral, and the Momentum by Timo Weiland uniform collection for hotel team members. 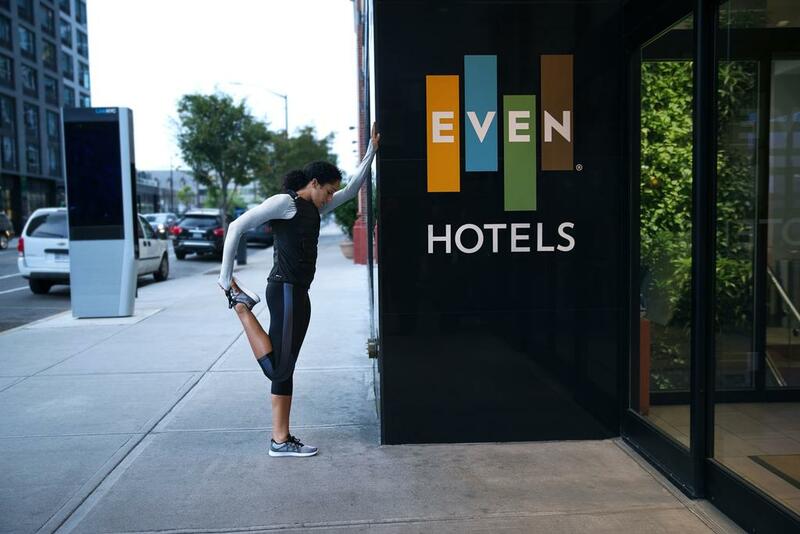 In addition, the property has complimentary WiFi throughout the hotel with IHG Connect, in-room coffee stations, power everywhere and a fitness center. The hotel features 1,290 sq. ft. of flexible meeting space and two meeting rooms, the Hudson and Midtown Board Room. Located on the ground floor, guests can utilize the 24-hour business lounge, which has unlimited WiFi access and a printer, copier, and scanner all in one. 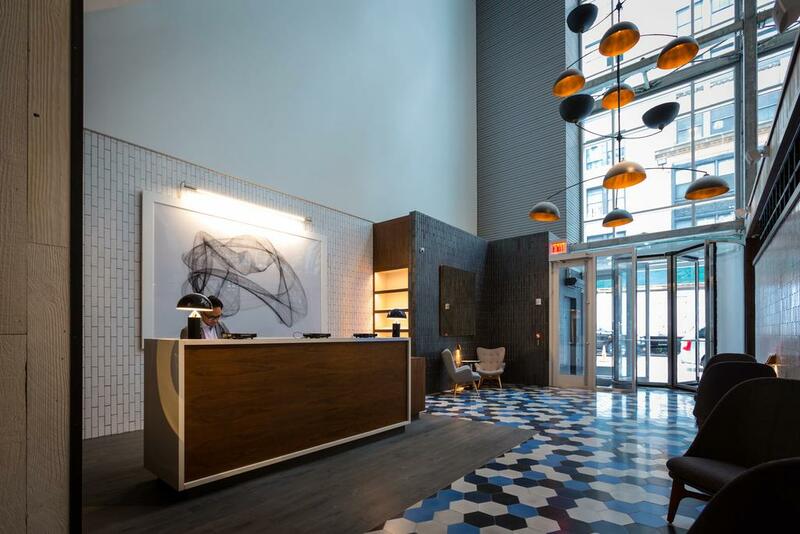 Freehand New York, the newest addition to the line of Freehand hotels, opened its doors to travelers on January 16. The Freehand concept is modeled after design-forward European hostels like Berlin's Michelberger, which allows for creatively conceived, flexible group accommodation. The hotel’s 395 rooms include a range of sizes and setups, from standard kings and queens to bunk rooms that accommodate groups of three or four people. Dates back to 1928, located in the former George Washington Hotel, once home to many storied writers, musicians, and creatives, the Freehand New York features five restaurant and bars, a custom art partnership with Bard College, and design by Roman and Williams. Freehand NY is on Lexington Avenue between 23rd and 24th street, within walking distance of Union Square, Midtown, and Flatiron. 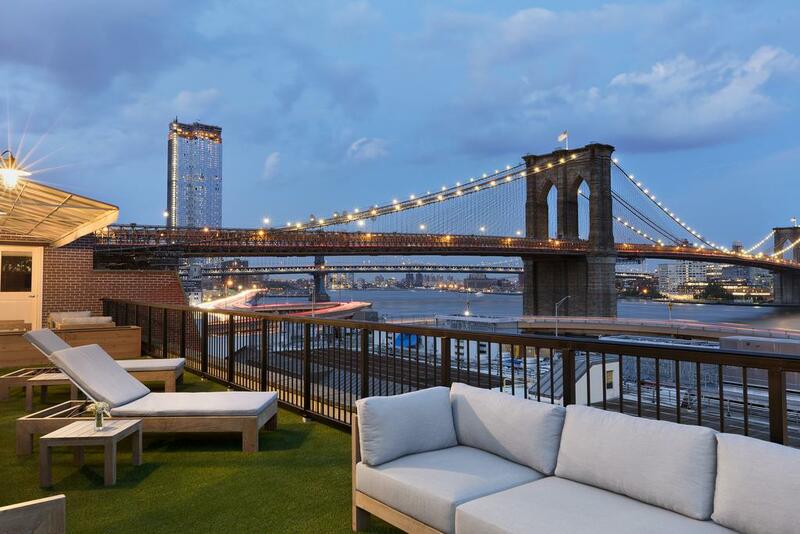 Conveniently located near Nevins Station, EVEN Hotel Brooklyn is a few short blocks to the famed Barclay Center, Brooklyn Navy Yard and some of the best restaurants and underrated museums in New York. This beautiful hotel offers in-room exercise, a state-of-art-gym and an incredible menu of healthy food… with a little indulgence too. The hotel features a terrace and views of the city. Marriott’s 290-room AC Hotel New York Times Square opened in Manhattan. The entrance lobby is 23 feet high with a large, open staircase to the lower level illuminated by a skylight shed roof. Its 290 guest rooms will offer an oasis in the midst of the bustle of NYC with a sleek and classic modern style. With options like floor-to-ceiling windows and private balconies, guests can enjoy unparalleled city views. With elements such as lavender sachets at turndown (freshly made each day) to help promote better sleep, guests will feel taken care of but not fussed over. Other amenities include a 24-hour fitness center, 3,365 square feet of event space, and an AC Market featuring locally sourced items such as Hell’s Kitchen Hot Sauces. This new AC Hotel is perfectly positioned near the Garment District and only a half-block from the Times Square public transportation hub. Madame Tussauds is only three minutes away by foot. Central Park is a little more than a mile away, while New York landmarks such as The Museum of Modern Art, the Empire State Building and Rockefeller Center are also within walking distance. 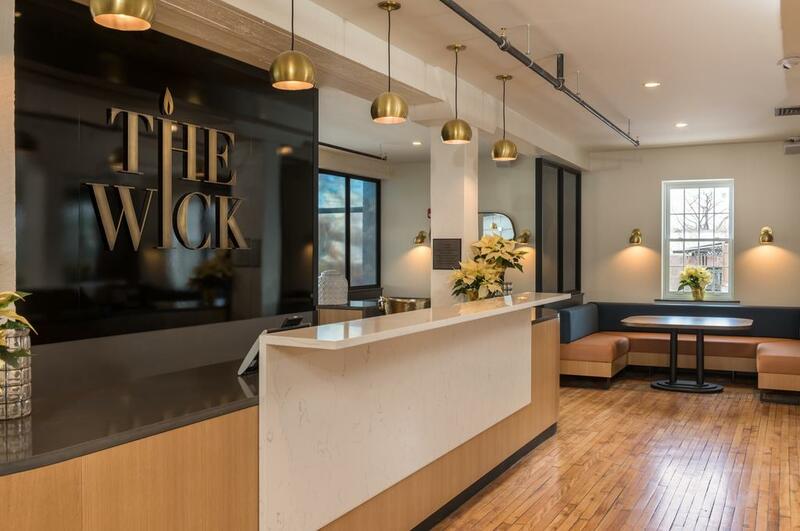 Part of Marriott International’s Tribute Portfolio, The Wick Hotel has opened its doors at 41 Cross Street in Hudson, New York. The original building was constructed in the mid-nineteenth century as a candle and soap manufacturing facility, before undergoing a meticulous transformation into a boutique hotel in the last year. With its captivating design and 4-star service, The Wick is poised to highlight Hudson as a destination for global business and leisure travelers while supporting the independent spirit of the local community. Partnering with local craft beer, wine and spirits producers, The Wick serves a selection of unique signature drinks at the lobby bar along with locally-sourced light fare. The property also features a luxurious spa treatment room, fitness center, boardroom and event space, bringing a complete service offering to the market and unlocking business and mid-week travel to Hudson. Just a block away from the Amtrak station (HUD), The Wick is an easy two-hour train ride from New York City’s Penn Station, within easy reach of landmarks, such as Olana, Basilica Hudson, and Hudson Hall, and just steps away from independent restaurants, art galleries, and antique shops. The Times Square EDITION, located at 701 Seventh Avenue on the corner of 47th Street, features 452 guest rooms with four levels of public space including a 5,000 sq. ft. performance venue, a 1,900 sq. ft. meeting studio, state-of-the-art fitness center and a lobby lounge at check-in level. The hotel also boasts distinctive food and beverage outlets including a signature restaurant leading out onto a 5,800 sq. ft. beer garden and event deck overlooking Times Square, and an all-day dining venue also featuring terraces with views of Times Square. Mr. C Seaport provides 66 finely appointed guest rooms and suites, refined and elegant living with personalized service and amenities. All guest rooms feature lustrous teak veneer, rain showers, 50" interactive 4K televisions and the finest Italian linens. Our ten premium suites include panoramic balconies overlooking the nearby East River, Brooklyn Bridge, and the New York skyline. The new-build, 30-story, 298-key Moxy Downtown, located just off Broadway and steps away from the World Trade Center, will radiate the neighborhood’s eclectic vibe and put travelers in the heart of the emerging Downtown scene when it opens in summer 2018. The rooms at the hotel come with a seating area. All rooms at Moxy NYC Downtown feature air conditioning and a desk. 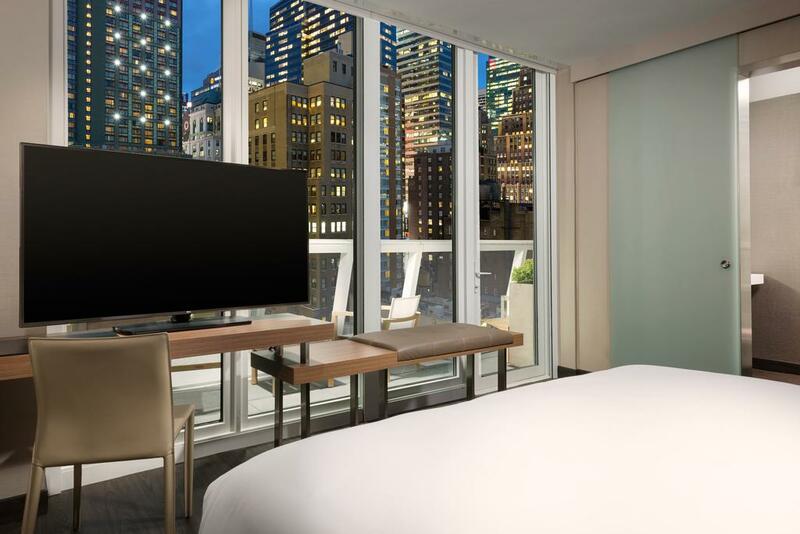 The hotel’s guestrooms feature the latest in technology, floor-to-ceiling glass windows to highlight great views and thoughtful attention to detail throughout. 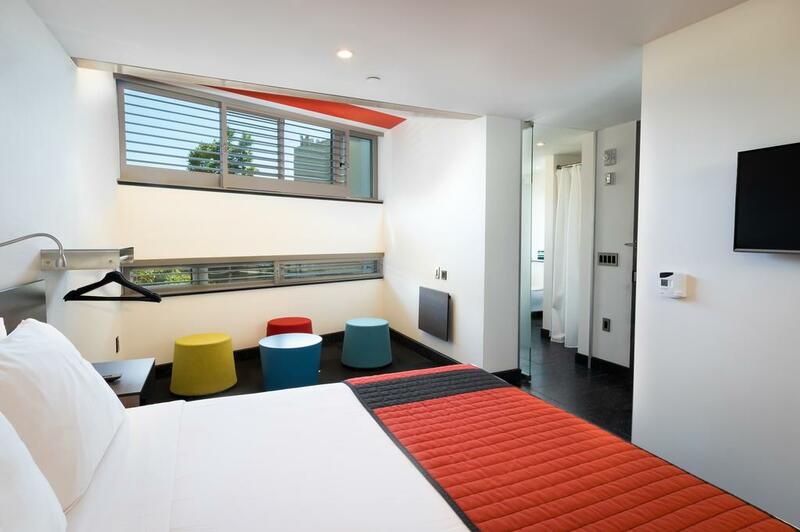 Located at 189 Bowery in Manhattan, CitizenM New York Bowery opens as the world’s largest modular hotel with 300 guestrooms; all assembled using sealed, fully furnished, and prefabricated units. 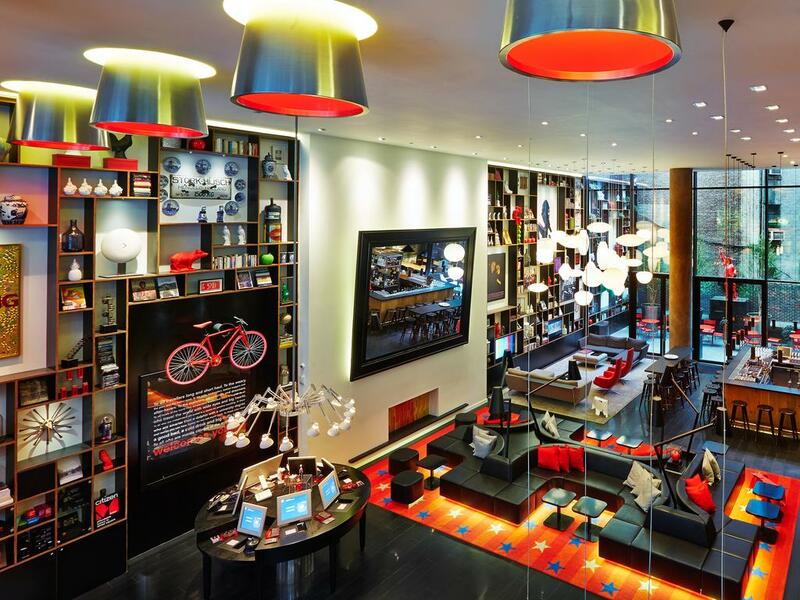 The CitizenM is approximately 240-ft. tall, rising 20 stories with 210 pods and a total of 100,296 sq. ft. of space. In addition, there will be an exterior and interior rooftop bar and lounge called CloudM with 360-degree views of the city skyline. There also will be a fitness center, a double-height lobby, lounge and cafe at the property. Guests can make use of the fitness center. In partnership with MENDO bookshop, New York Bowery citizenM provides its guests with coffee table books in a variety of fields such as photography, fashion, travel, and design. 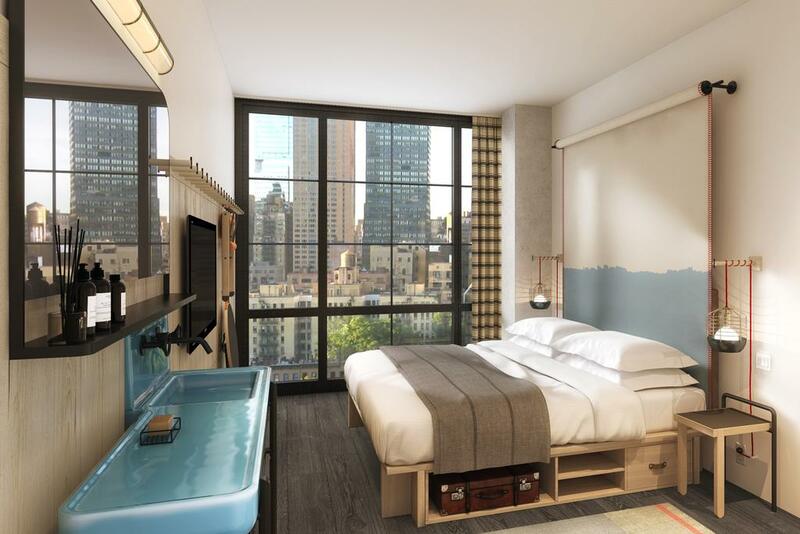 Set on the site of the former Rosenwach factory, the maker of the iconic wooden water towers that scatter the New York skyline, The Hoxton, Williamsburg will be a destination for international visitors, guests, and locals alike. It will have 175 bedrooms come in two types – Cosy and Roomy – with some boasting views of the Brooklyn borough and Manhattan skyline, three restaurants, including terrace and courtyard spaces, and a rooftop bar with views across Manhattan. The Apartment, its meeting and events space will host meetings, parties, private dining and our own curated events series. All rooms have floor-to-ceiling windows and comfy king-size beds outfitted in bespoke linens by Brooklyn artist Dusen Dusen. You'll find a bookshelf curated by their very own Hox Friends, plus Hox Perks in every room, including their guide to the 'hood, daily breakfast bag, and free calls to anywhere in the world. 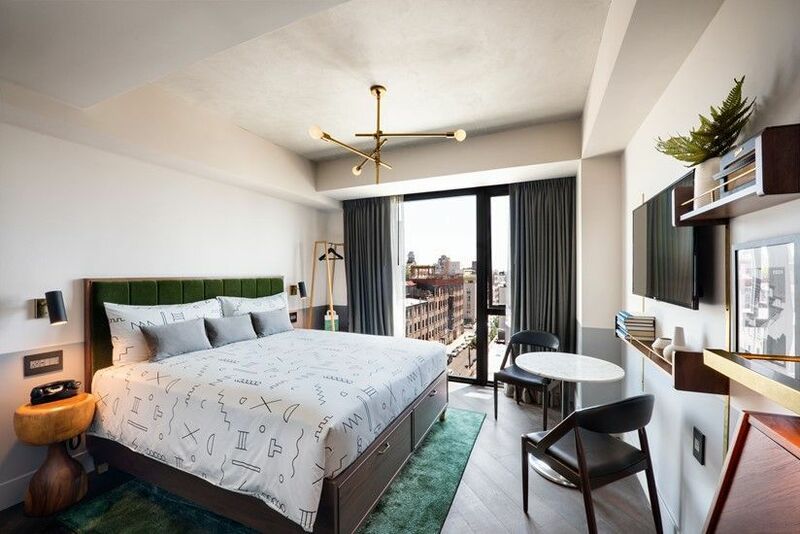 The 349-room Moxy Chelsea reimagines the urban jungle, blending botanically inspired design with Italian romance — welcome to the Flower District’s new secret garden. Topped off with a spectacular glass-enclosed rooftop lounge that transforms into an alfresco veranda, at the touch of a button, Moxy Chelsea also offers a caffè, ristorante, and a cocktail bar and co-working lounge. From the moment you walk into the property — through an overgrown ﬂower shop — to opening your guest-room and taking in the mesmerizing city views, Moxy Chelsea throws everything it’s got for you to play with. With DJ appearances, a made-for-Moxy bocce drinking game on the terrace, rooftop meditation, reiki classes, ﬂoral workshops, and pizza-making classes to name a few, one might wonder why you should ever leave, were it not for the location. Chelsea is one of New York’s most iconic ‘hoods, brimming with galleries, bars and restaurants - and just steps from The High Line, Madison Square Park, Flatiron Building, Hudson Yards and more. Every room is a vessel waiting to be filled. There’s a ground-floor restaurant. The address is 225 Bowery, a few doors down from the New Museum.